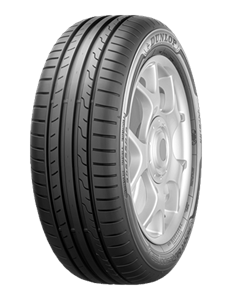 All-new High-Performance Tyre for compact and mid-size vehicles. The special design combines dynamic and efficiency, thereby shorter braking distances, top wet performance and reduced rolling resistance. Better wet grip and braking performance. Wet compound derived from Dunlop’s Ultra High Performance technology. Optimised shape and construction lead to better rolling resistance. Closed shoulder grooves reduce noise levels.